Oh the perks of being a Nikon Brand Ambassador–I get to treat you guys to another Nikon giveway! Think of this as a post-Valentine’s day gift from me to you. So what Nikon camera is up for grabs? 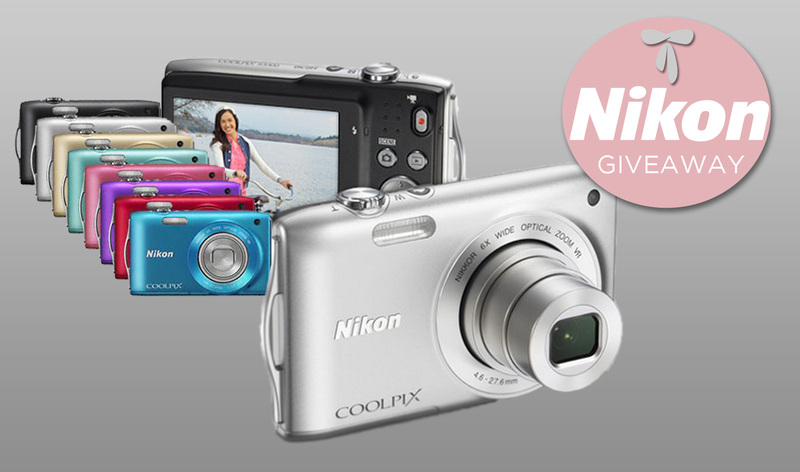 I’m giving one lucky reader a brand new Nikon Coolpix S3300! With its 6x optical Zoom-NIKKOR glass lens and optical VR Image Stabilization, the Coolpix S3300 lets you clearly capture everything from close-ups to touchdowns while minimiing the effects of camera shake in both stills and movies. Movie recording with this camera allows for HD movies in 720p which you can view instantly on its bright 2.7-inch LCD monitor. Not only that, for all you fashionistas out there, you don’t have to worry about fitting this beautiful baby in your tiny purse. The Coolpix 3300 is thinner than an inch and weighs just 4.6 ounces! Deadline for entries is on March 3, 2013 at 11:59PM. This contest is open to Philippine residents only. When it comes to picking the winner, let’s do something different this time around. I’ll pick a semi-finalist from the comments below using Random.org and another semi-finalist from Twitter by searching the hashtag #ItsCamilleCoGiveaways. The winner between the 2 semi-finalists will then be chosen through another round of Random.org. This means you CAN do step #4 multiple times but for step #3, please leave a comment here only once. The winner will then be announced at the comments section below on the evening of March 4. Admiring thhe commitment you put into your blog and detailed information you provide. while that isn’t the same out of date rehashe material. name, twitter name and link to your Facebook profile. Realy looking forward to win this time. hey there! great giveaway! WOHOOOOO! What I like about the Nikon camera is that I can finally finally make HD movies using it! ms. camille please disregard this one… im sorry i entered it kasi mali pala thanks..
this one of the awesome giveaways Ms. Cams. I’ve joined, this was your second or third time to give a camera.